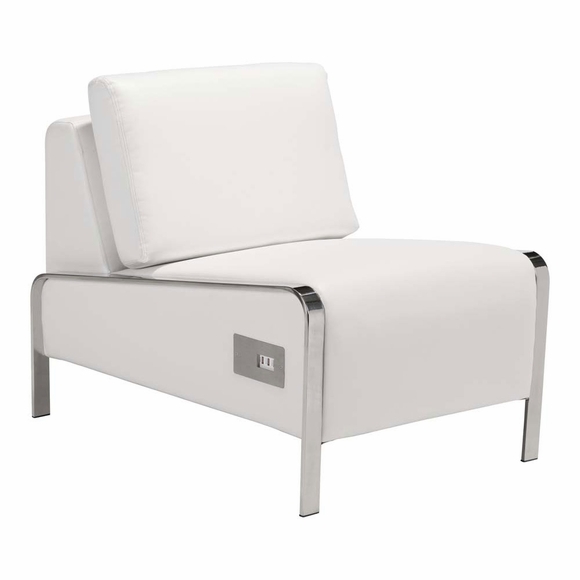 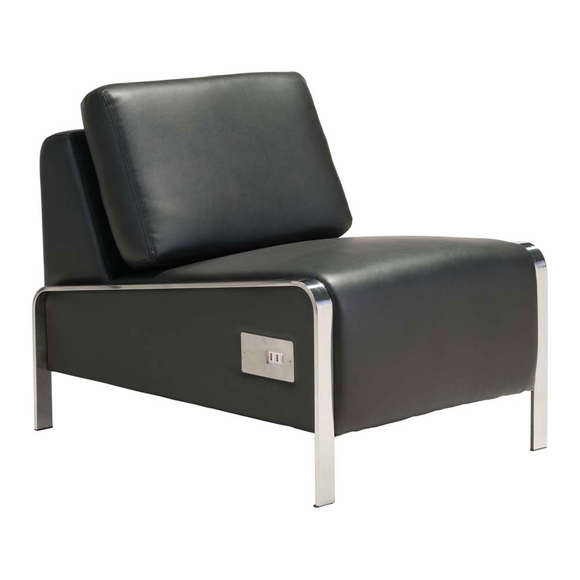 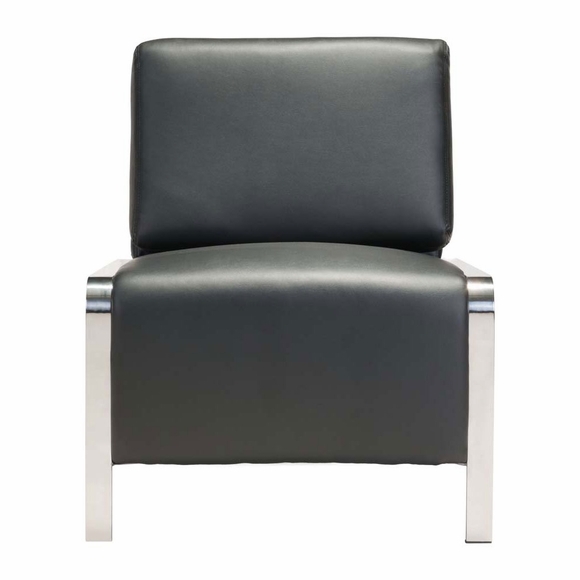 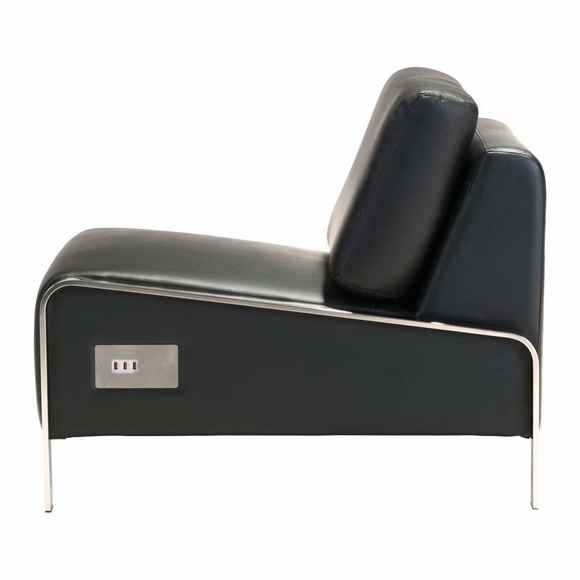 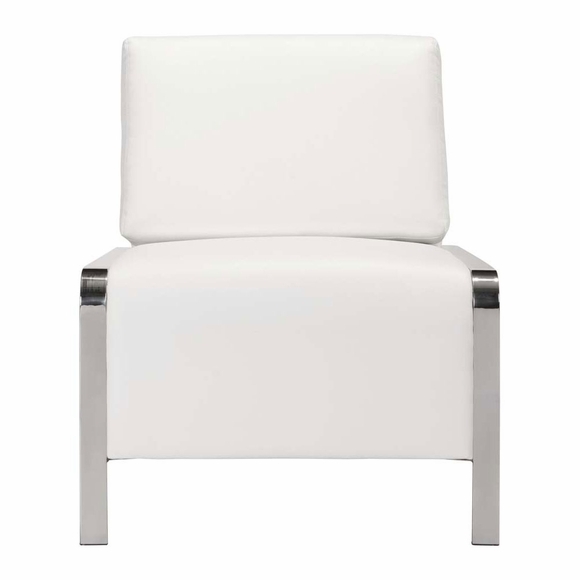 Stylish and functional, the Thor Armless chair features a modern design with smooth leatherette fabric on sleek profile and accented with slim chrome frame. 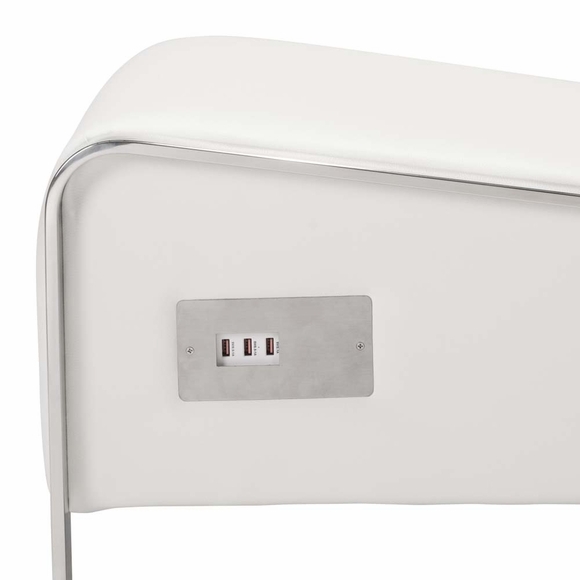 USB panels on each outside base are added for easy access in charging electronics. 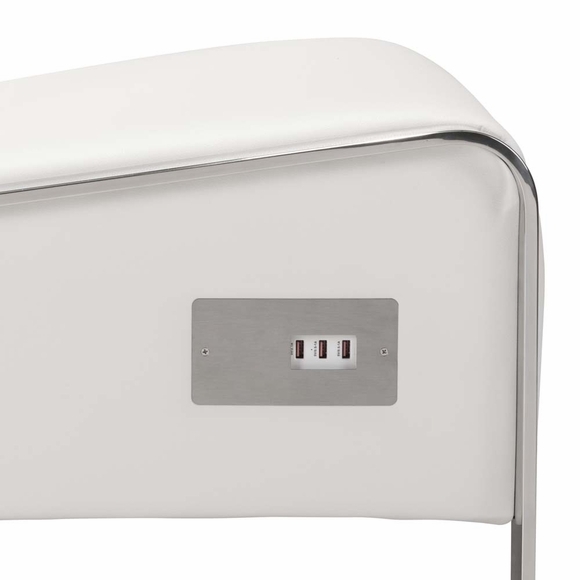 Each port houses three USB ports for all your charging needs. 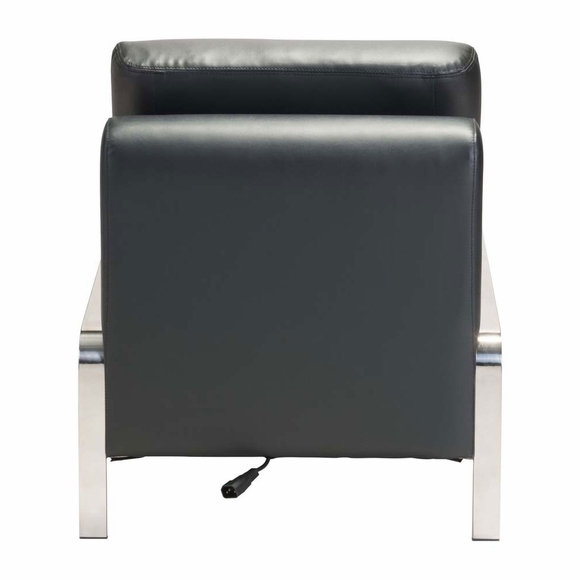 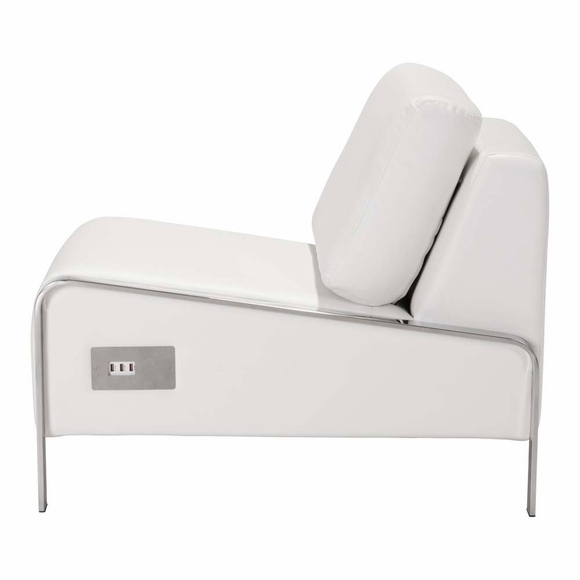 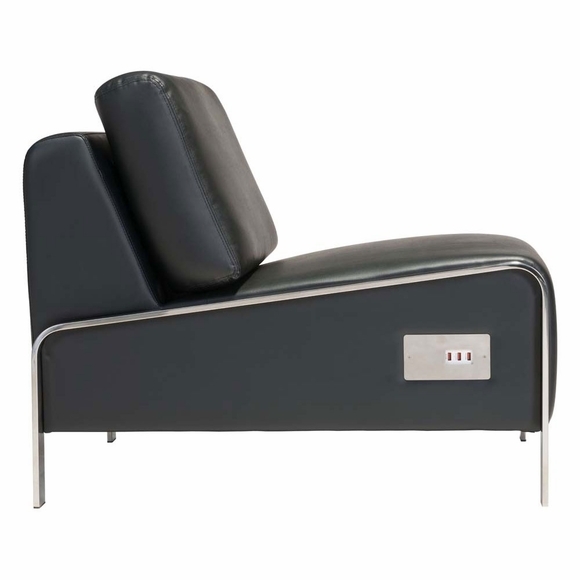 Perfect for events, public spaces or anyone who appreciates the ease of charging their electronics why relaxing in style. 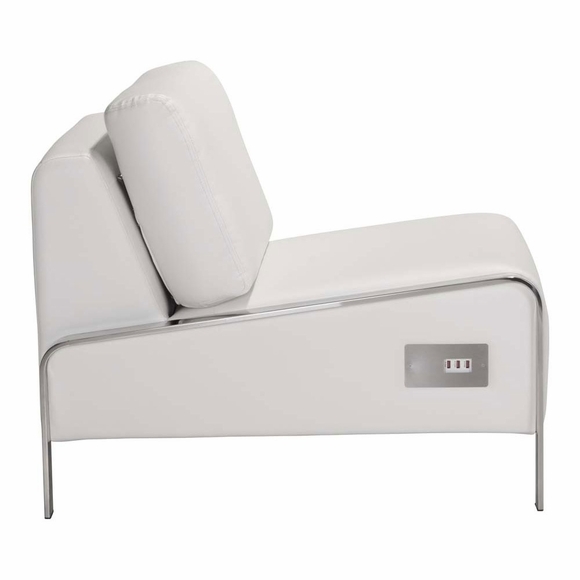 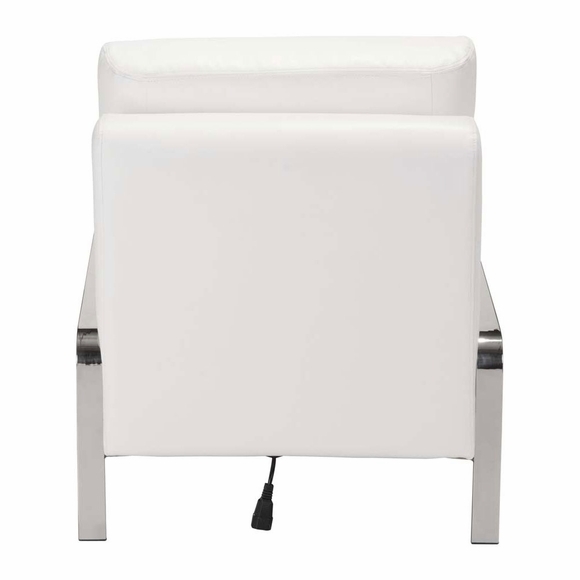 Color options include black and white leatherette for both arm chair, sofa and ottoman.